Each year the electricity prices are rising and we here more often the words PV (photovoltaic) renewable energies and energy efficiency, but what does all this mean and how can I as a home owner or tenant benefit from it? Producing his own electricity is beneficiary, but requires huge amounts of invested and takes several years to payback. In order to safe immediately some money without huge amounts of capital to be invested, one should first look at the energy efficiency side. 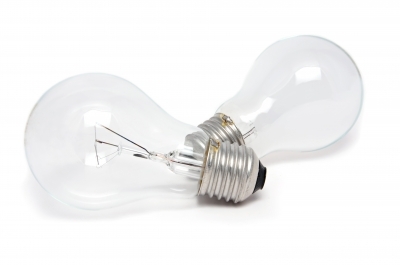 The past years there was a huge development in the light industry, for a view years the compact fluorescent lamps (CFL) were called energy saving lamp and one should change the ordinary light bulbs with these to save money and energy. 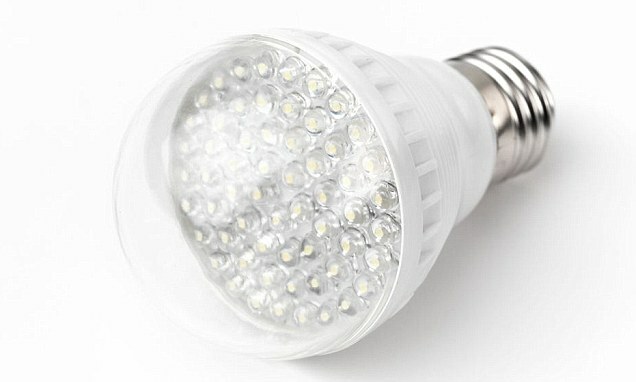 It is still a valuable solution compared to the incandescent light bulbs, but the past years a more efficient light has entered the market, the LED lights. The LED lights are available in all kind of forms, colours and different sockets. They can even replace your fluorescent light tubes or halogen lights. 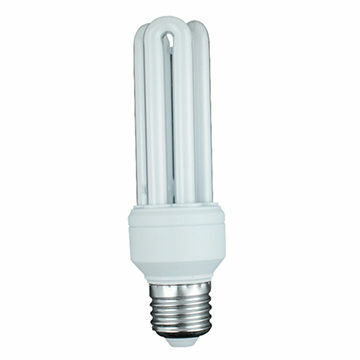 For example your light bulb uses 50W, the CFL 15W and the LED lights use only 5W and produce the same amount of light (lumen). The life expectancy of those LED lights is also much higher than of a normal light bulb. Taking all this advantages of a LED light into account the payback time of them is often less than 1 year. Another way of saving electricity is to have them only on while they are needed. To achieve this without the hassle to switch them on and off manually, a motion sensor can be installed. With a motion sensor for example the outside light will only turn on if there is some movement in that area. In offices and other rooms this is also a viable solution. In a typical household most of the energy is used to head up water. The average hot water consumption of a person/day is about 30-50 litres. This includes showering, cooking, cleaning, dishes, etc. For a family with 2 kids this leaves you with a daily hot water consumption of about 150 litres. At an electricity price of R1.4 this will cost you R330/month or R4,000/year. By installing a 200 litre solar geyser most of the electricity can be saved. A complete 200 litre system installed will cost you about R15,000 and assuming that you will only save about 70% of the so far used electricity this will give you a payback time of about 5 years. In many cases not a whole solar system has to be purchased and only solar panels are connected to the existing geyser (pump split system). If the old geyser is still in good conditions and well insulated this is a viable solution and can bring your payback time even further down. 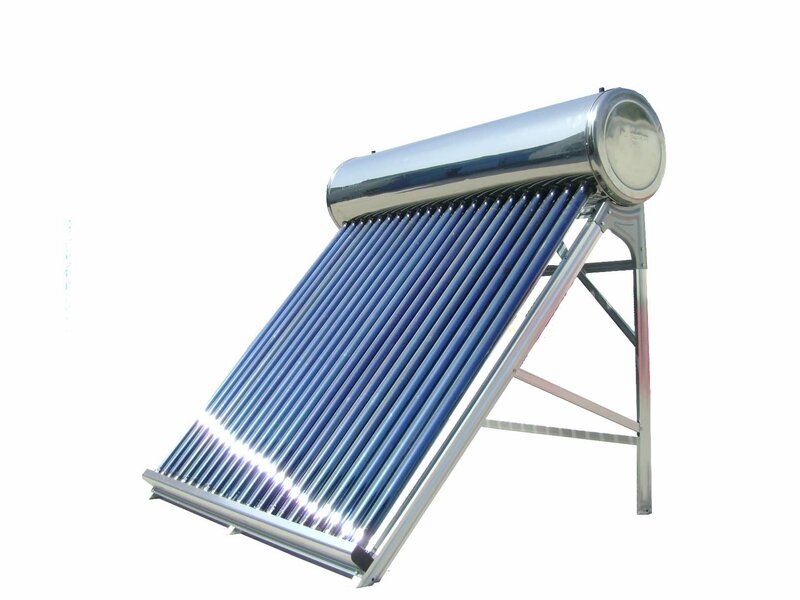 The most common solution seen in SA is a Thermosiphon system, where the geyser is installed above the solar panel/tubes and the hot water circulates automatically. The left picture below shows a solar system for a flat roof. 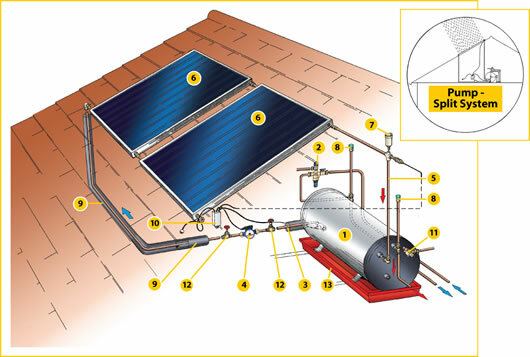 The right picture shows a pumped split system, where the geyser is inside the roof and also below the solar panel/tubes so a pump is required to circulate the water through the solar panel. Everywhere you hear energy efficiency, global warming and something about increasing electricity prices. Your electricity appliances also play a very important role in it. 1994 the European U nion established an energy consumption label, which rates the energy efficiency of appliances from A (most efficient) to G (least efficient). As the companies produce each year more efficient appliances there are know also products with the energy efficiency class up to A+++ available. How does it affect you? Often people run their fridge until it's not working anymore, which is good but not energy efficient and maybe also very expensive. In the field of electric appliances happened a lot regarding energy efficiency. Old fridges often have the energy efficiency class C (or worse) and an average fridge with 120l cooling and 50l freezer consumes about 450kWh per year. At an electricity price of R1.47/k Wh this fridge will cost you R661 per year. A modern fridge with the same size and a Class A+++ will consume 130kWh/a, which is R191. That means this fridge will safe you R470 on electricity each year. When you got an old fridge or want to buy one, you should pay attention on the energy class, as it can save a lot of money each year. As the appliances get normally more expensive with higher energy efficiency classes one should compare not only the purchase price, but should also take the running expenses into account.